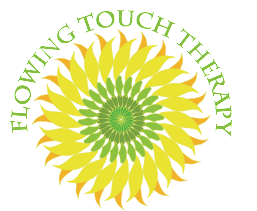 I have worked as an occupational therapist helping people recover and thrive after life changing injuries or illness. After working in more traditional settings, I realized the missing component was direct, hands-on healing. As soon as I started using Myofascial Release, my clients felt an immediate and profound shift in their body. Myofascial Release is a very safe, gentle and effective technique that uses sustained pressure in areas of restriction to reduce pain and increase motion. The style of yoga that I utilize creates awareness and acceptance through movement, breath and mindfulness. Since using these techniques, I have witnessed my own pain begin to melt away while providing opportunities for others to experience authentic healing. This combination of therapy works well to address challenges including chronic pain, fatigue and emotional distress. We will work together through careful assessment and treatment and you will learn skills for ongoing self-care. My goal is to help provide a safe and healing environment that will facilitate your healing journey by peeling back the layers of pain until you have reconnected with your own true, beautiful and divine self.